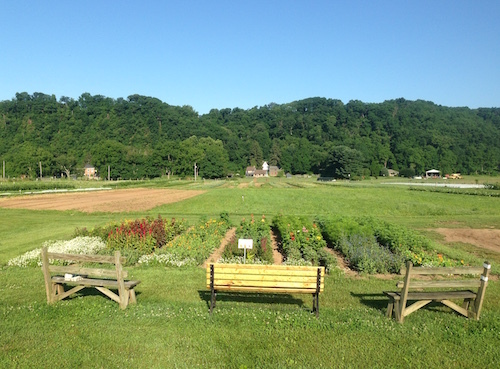 Spring greetings from Tinicum CSA! 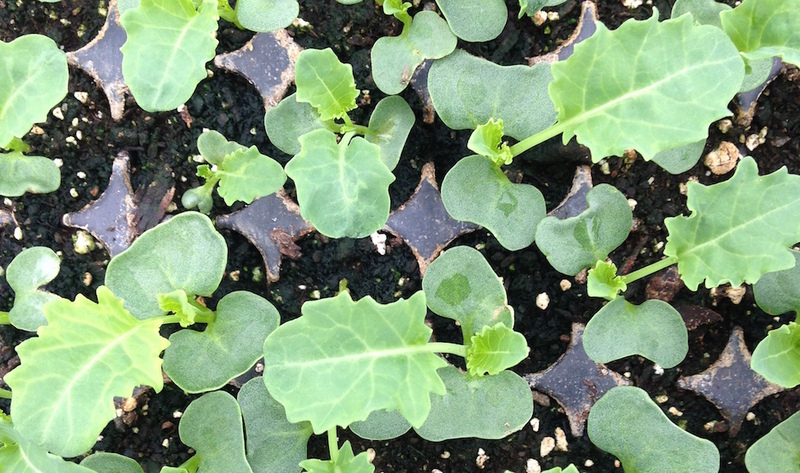 The first seedlings of lettuce, kale, scallions, and swiss chard are beginning to shoulder their way into the world. Soon the greenhouse will be filled with a greater diversity of vegetables eager for transplant outdoors. And the ground is actually dry enough for tilling. 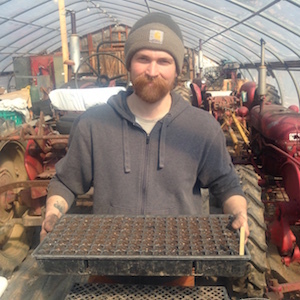 March 2019 is proving to be sunnier than last year, and your farmers are feeling optimistic about the growing season. Your farmers are already busy, working to make this the most abundant year yet! This winter, I went on a quest to buy an antique tractor. My goal was to acquire a restored 1940s-era Planet Jr. walk-behind tractor. The tractor is antique, but it’s very versatile and can be used with many different attachments. I’d seen other farmers using this tractor with something called “finger weeders” which, as the name implies, can significantly reduce the amount of time spent hand-weeding. The challenge was that this old tractor is highly sought-after, and very hard to find. After an arduous search that included trips to far-flung farms, rambling chats with old timers and even an antique engine show, it ended up being a Craigslist post that did the trick. In early February, Amanda & I found ourselves driving to the Connecticut suburbs to pick up the newly restored Planet Jr. 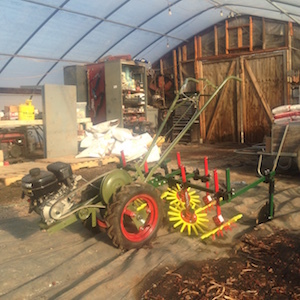 Here is the Plant Jr. with a 3-row finger weeder set-up in the greenhouse. I’m looking forward to putting it to good use this season. I’m also excited about the 2019 Pick-Your-Own crops. This year the cherry tomatoes, tomatillos, okra, & thai peppers will be directly behind the flower patch. This means that all of your favorite pick-your-own veggies will be easier to find and faster to pick! You can imagine the new arrangement in this photo of last year’s flower patch.And I’m thrilled to continue offering raspberries, which did quite well last year. It’s always fun for me to see you all enjoying the farm. It’s especially gratifying to see folks walking out of the field with a pint of cherry tomatoes and a colorful bouquet of flowers. Each week I’m reminded that Tinicum CSA is all about the community coming together to enjoy this farm experience, while taking home a generous helping of healthy vegetables. Here’s to an abundant 2019! SIGN UP FOR 2019 HERE.